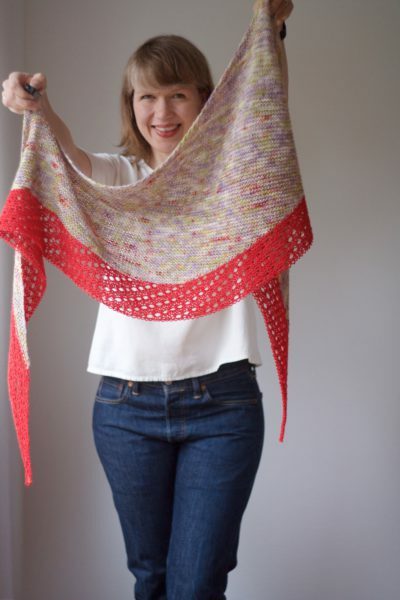 Warm, calming and fascinating to watch at the same time – that’s how sunsets are at the Cape of Good Hope, and this is the shawl that channels this feeling! 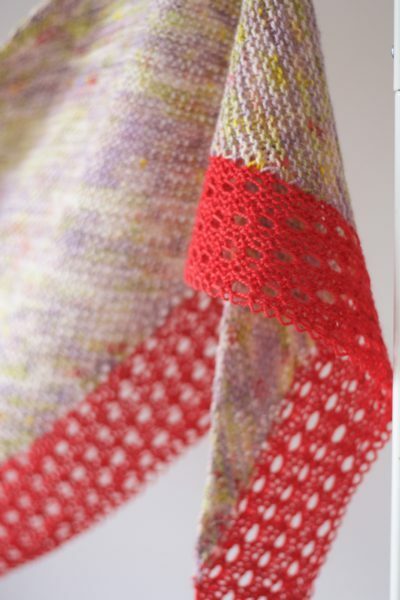 Bright lavender and green on a light background make the saturated red speckles stand out and are a perfect setup for a simple lace border that is very easy to knit. No charts involved! The yarn that Bridget Henderson of Cowgirlblues dyed for this Strickmich! 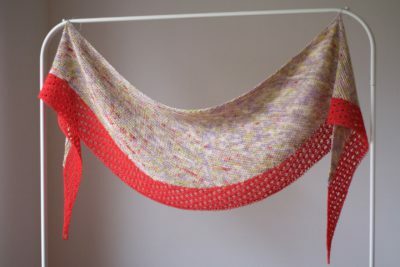 Club Design is an extra soft Merino yarn with a pretty twist that is a pleasure to knit with. 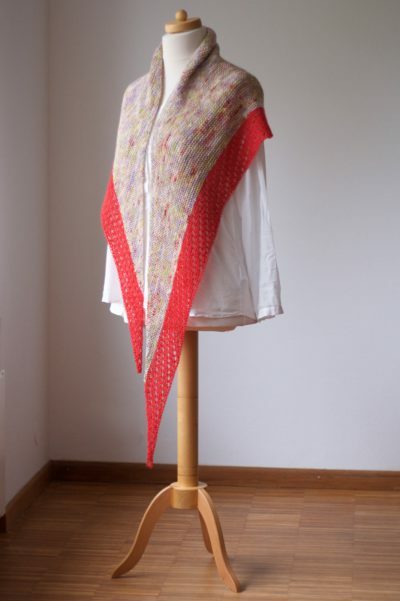 The colors are inspired by the blossoms of a plant called “Pseudo Selago” that Bridget has encountered during her walks around the Table Mountain. They look especially pretty in the light of the dawn, so she decided to name the colorway “Selago Sun”. 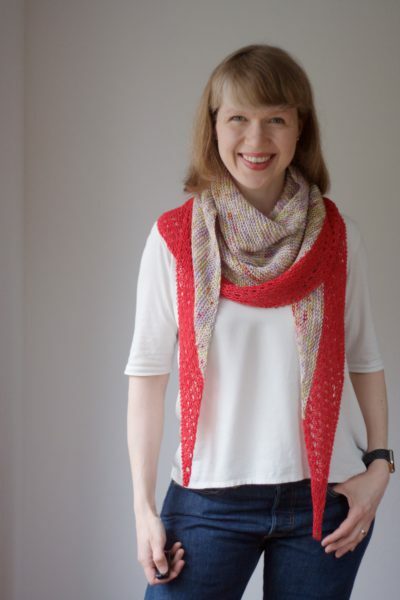 Find the pattern on Ravelry and in Strickmich! Shop, where we also carry the beautiful handdyed yarn by Cowgirlblues as well as a very limited number of kits in the club colorway and other color combinations.